Steel Pro Frame Pools - 8', 10' 12' 130"
Rectangular Frame Pools - 113" 159"
Rectangular Frame Pools - 113", 159", 162"
Normally this is an electrical issue. Please ensure that the filter pump is plugged directly into a mains socket and not into an extension lead. Please check the socket with other items to ensure this is not a problem with the socket itself. Blockages Ensure the stopper caps have been removed and ensure the debris screens are clear. Seal is not aligned correctly. Check the placement of the seal to ensure this is in the correct place. How long can I leave the pump running for? Can I plug this into an extension lead? All of our filter pumps come with a standard warranty period, so that you have the peace of mind that in the unlikely event that you were to experience a problem, we are here to help you. Filters - The filter cartridge should be replaced every two weeks. Purging - This allows for all of the air to be removed from the pump. 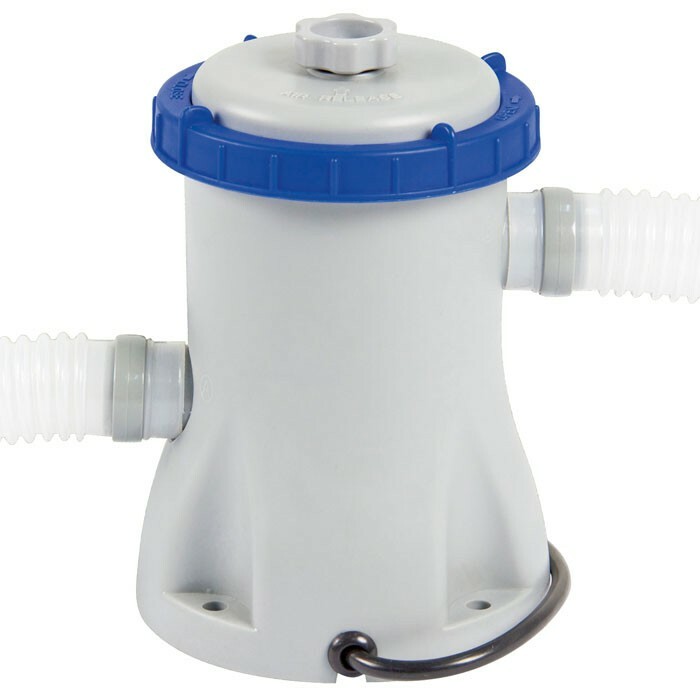 To purge the filter unit, unscrew the purge valve slightly, once water starts escaping, tighten the valve. Cleaning - Filters will need to be changed regularly. The debris screens will need to be checked and cleaned on a regular basis.